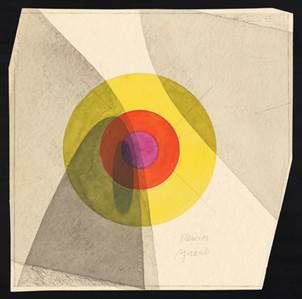 The Bauhaus is widely regarded as the most influential school of art and design of the 20th century. Marking the 100th anniversary of the school’s opening, Bauhaus Beginnings on view at the Getty Research Institute from June 11 through October 13, 2019 examines the founding principles of the landmark institution. Artists featured in the exhibition include teachers at the school such as Lyonel Feininger (American, 1871–1956), Walter Gropius (German, 1883–1969), Johannes Itten (Swiss, 1888–1967), Vassily Kandinsky (Russian, 1866–1944), Paul Klee (Swiss, 1879–1940), Gerhard Marcks (German, 1889–1981), László Moholy-Nagy (Hungarian, 1895–1946), and Oskar Schlemmer (German, 1888–1943). Also included is student work by artists such as Erich Comeriner (German, 1907–1978), Friedl Dicker (Austrian, 1898–1944), Ludwig Hirschfeld-Mack (German, 1893–1965), Erich Mrozek (German, 1910–1993), and Margarete Willers (German, 1883–1977). The work of students who later became Bauhaus masters, including Josef Albers (German-American, 1888–1976), Herbert Bayer (Austrian, 1900–1985), Joost Schmidt (German, 1893–1948), and Gunta Stölzl (German, 1897–1983), is also featured in the show.